The Welsh Terrier is an old dog breed from Wales. It was originally bred to independently hunt fox. badger, and rodents. This is a guide about Welsh Terrier breed information. Breed Description: Welsh Terriers are sturdy, compact dogs with wiry coats and active, playful personalities. Originally bred for hunting small game like otters, fox, and badgers, these robust, medium-sized dogs are the perfect companions for an active family and make good watch dogs. Average Size: Ranges from 14-15 1/2 inches and 20-21 pounds. Color(s): Black and tan and grizzle. 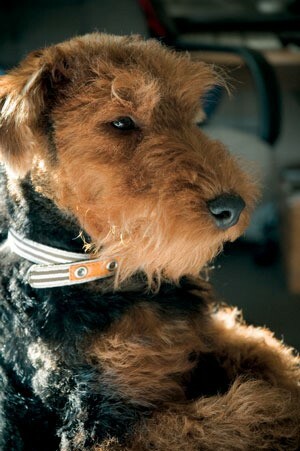 Coat Type: The Welsh Terrier's abundant coat is harsh, wiry and very dense. Grooming: This breed's coat requires regular brushing to keep it in good condition and requires standard care for ears, pads and nails. Eyes should be examined regularly. Exercise Needs: This breed has a zest for life and needs a lot of exercise. Welsh Terriers have a natural instinct to chase anything that moves and should be exercised on a lead or in a safely enclosed area. 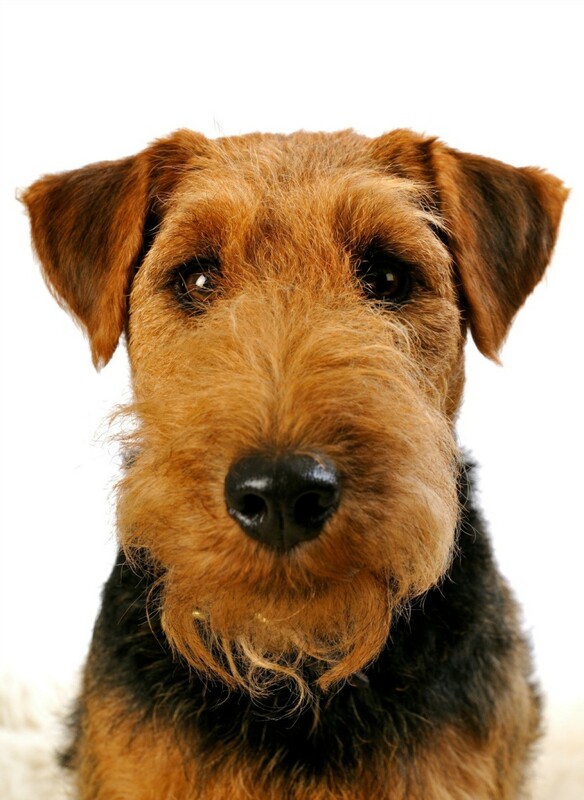 Temperament: Welsh Terriers are active, playful and naturally inquisitive. This is a vigorous breed that is best suited to a young, active family who will provide it an outlet for its energy. Welsh Terriers are good with children and warm and affectionate toward members of their family. Alert and naturally wary of strangers, they make good watchdogs. Welsh Terriers can be a bit stubborn and strong-willed at times and benefit greatly from obedience training at an early age. Common Ailments: Prone to epilepsy, hypothyroidism, skin and eye problems. Life Expectancy: Averages 10-12 years. Trivia: Welsh Terrier puppies are born all black and eventually turn to a lighter tan. More Information: Welsh Terrier Club of America, Inc.